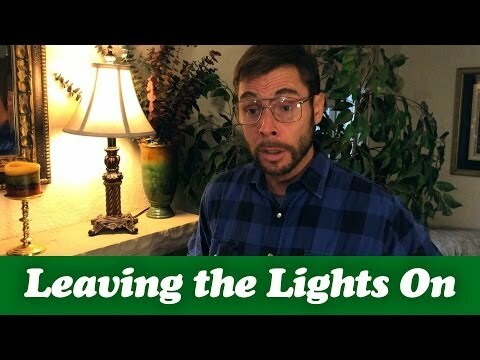 Today we talk about saving energy but when I was growing up I always heard "turn off that light, do you think we own the electric company?". I find myself telling my wife and kids to do the same. I'll walk into the living room only to find that the lights and TV are on and no one is there. When I finally track them down I get the anser, "I was coming back". It's good to be able to laugh about it but lighting is a significant user of energy in your home accounting for 12% of the typical power bill. I've installed timers that replace some of our light switches so that I know that the front porch lights aren't on all night and the same goes for the light over the kitchen sink. In our home these 2 lights are famous for being left on. This video is by "Pittsburgh Dad" and if your familiar with Western PA accents an attitudes you'll find it even funnier (I lived there the first 21 years of my life). We hear about vampire electric loads coming from devices that we think are off but what about those that we just leave on. I hope you enjoy it and turn off that light!! !